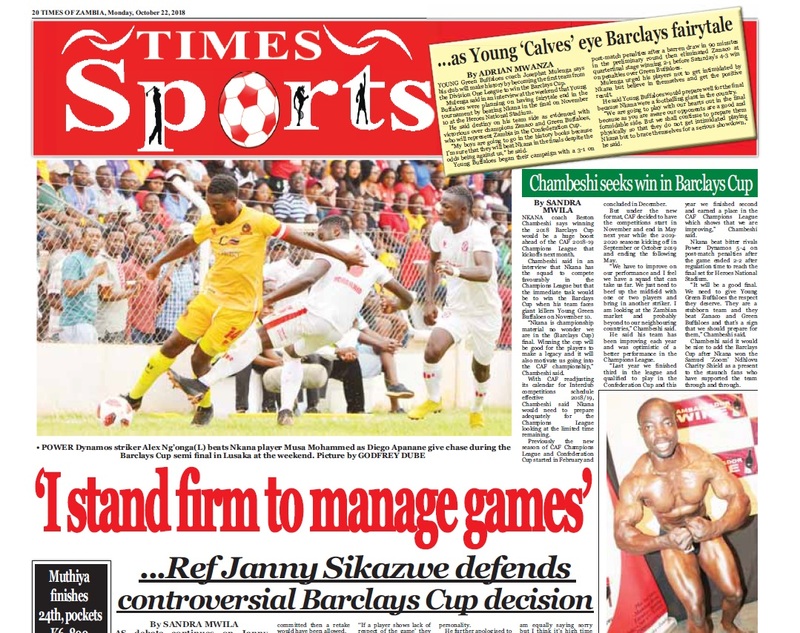 AS debate continues on Janny Sikazwe’s decisions during the 2018 Barclays Cup semi final match between Nkana and Power Dynamos, the FIFA referee says it was high time they cut down on the behaviour of some of the players in the league. 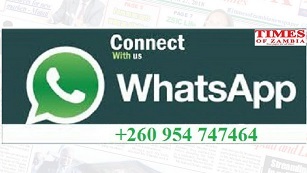 Sikazwe has come under pressure following his controversial awarding of Nkana the penalty and then disallowed Idris Mbombo’s resultant goal before he flashed a yellow card on striker Walter Bwalya. With the match heading for a 2-all draw, Sikazwe blew that Mbombo was seemingly fouled by Faustina Bokadila in the additional time of the 90 minutes when in-fact he looked like he had bumped into Festus Mbewe. Mbombo lifted himself up and composed himself as he struck the kick and scored but Sikazwe immediately blew for an indirect free kick in favour of Power and went on to hand Bwalya a yellow card. He said if the encroachment was the only offence the player committed then a retake would have been allowed.“There is much more that the player cautioned did which is described in the laws of the game page 106 bullet 10,” Sikazwe said. unsporting behaviour”.Sikazwe said he was aware that he made a strong call but that he had to stand firm to manage the game and maintain personality.He further apologised to his fellow referees but was quick to add that it was high time they cut down on players’ behaviour. “If I made a mistake my fellow referees I am saying sorry but if not I am equally saying sorry but I think it’s high time as referees to cut down the behaviour of some of the players in our league. 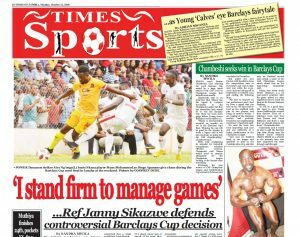 Meaning teams should learn to discipline their players or we shall help,” Sikazwe said.